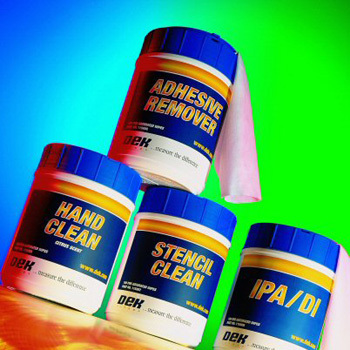 Designed for fast, efficient cleaning of SMT stencils and screening equipment. The non-abrasive fabric, pre-saturated with hydro-treated Naphtha, effectively cleans most commercially available solder pastes and inks. Ideal for cleaning squeegees, mounts, misprinted boards, components and lightweight, anti-static, solvent resistant stencils. Safe with most plastics.